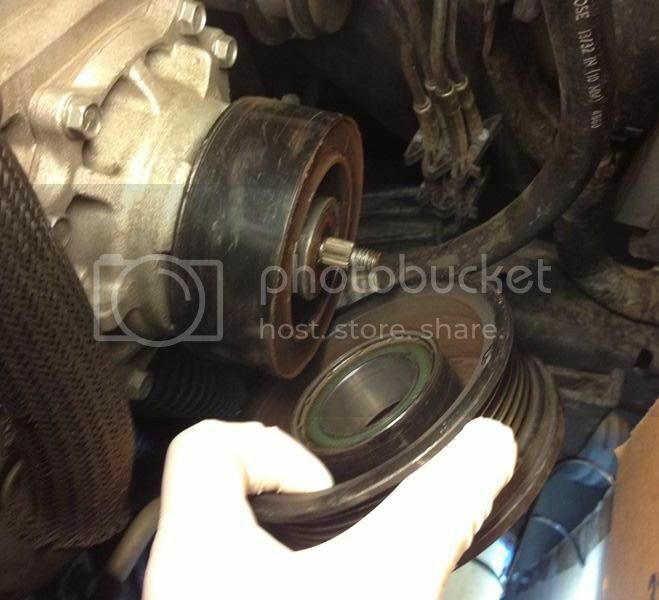 The clutch pulley bearing was going out on my 05 Explorer. It was the source of the pulley squeal. I couldn't get one locally within a decent time frame and without paying a lot. So I went to the wrecking yard and actually found a donor that had a "new" compressor on it. That is, it wasn't the original. So, I pulled the clutch plate, pulley and coil. I also grabbed a second (original) from another car. Numbers on my original showed the same bearing as the two I'd picked up. 550200 or something of the like and the pulley diameters were equal. However, having the install tool on hand, I went to dry fit the newer of the two pulleys and I was able to put it on by hand. It didn't exactly slide right on, but I didn't need the tool, nor did I pound on it. Kind of wiggled it on if you would. Thinking this was odd, I removed it by hand, then tried the second used part, which did the same thing. So I tested my original and it too went on with a little elbow grease. So my question, is this normal? Should it be able to go on without being pressed? 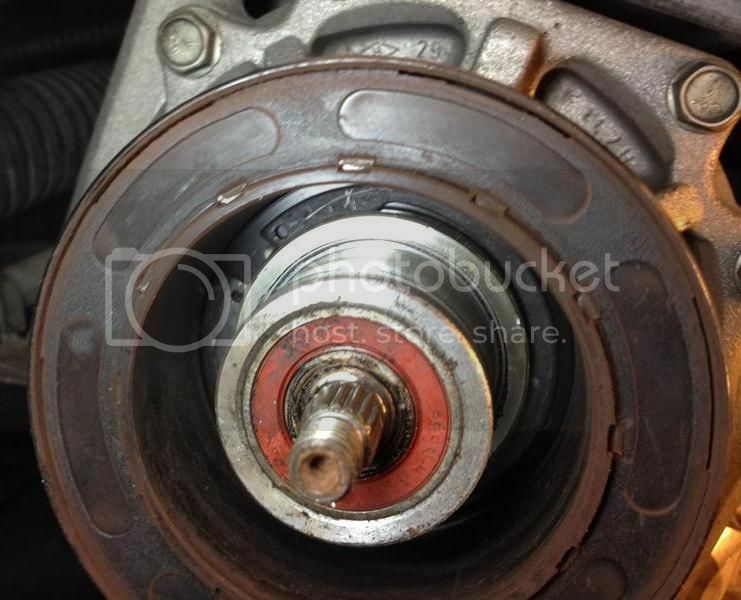 Or are these bearings meant to only go on once? Don't mind getting a new one if there is a risk here. Now I'm paranoid and it seems to me that when I turn the AC on, there is a vibration to the engine. Let me try this again....but with something in the post. It was all shiny. I could certainly remove it and but some type of Loctite on it. Normally you can tell if Loctite was used. The only clutch pulley I ever pulled, came off tight and went back the same way. You didn't crack the bearing ID, did you which is hard to see sometimes? In fact, I have a 10" metal lathe and made a tool to easily pound the pulley all the way on once it was flush with the hub but not far enough for the snap ring to go on.